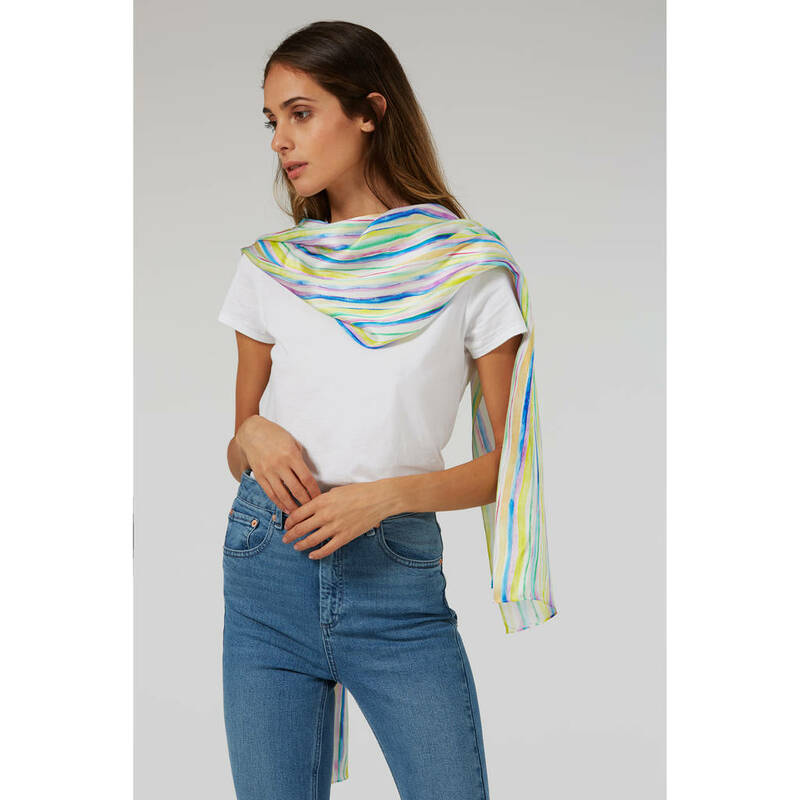 Inspired by the British Summer - ice cream pastels and deckchair stripes, this is the perfect accessory for holidays and garden parties. 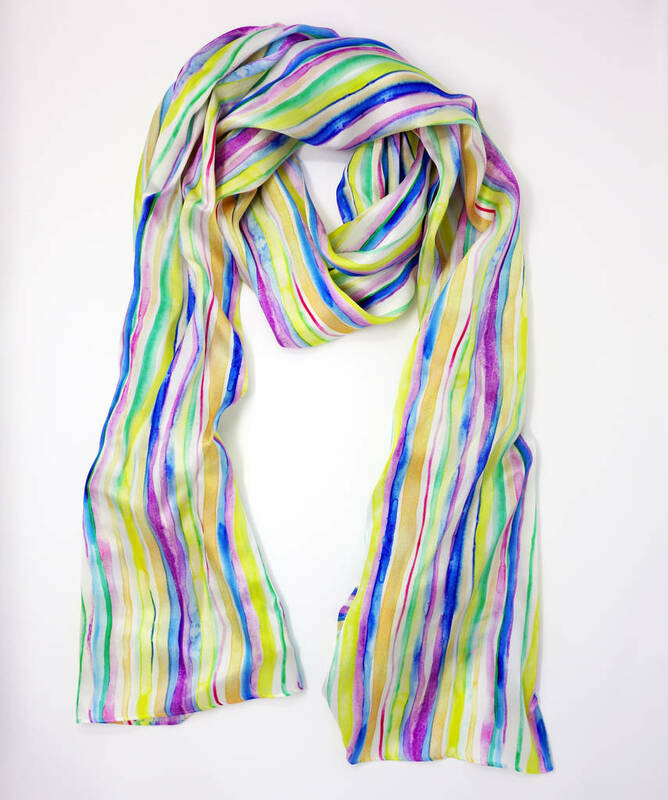 The Sorbet Stripe Scarf is perfect for injecting a fun pop of colour into your wardrobe. 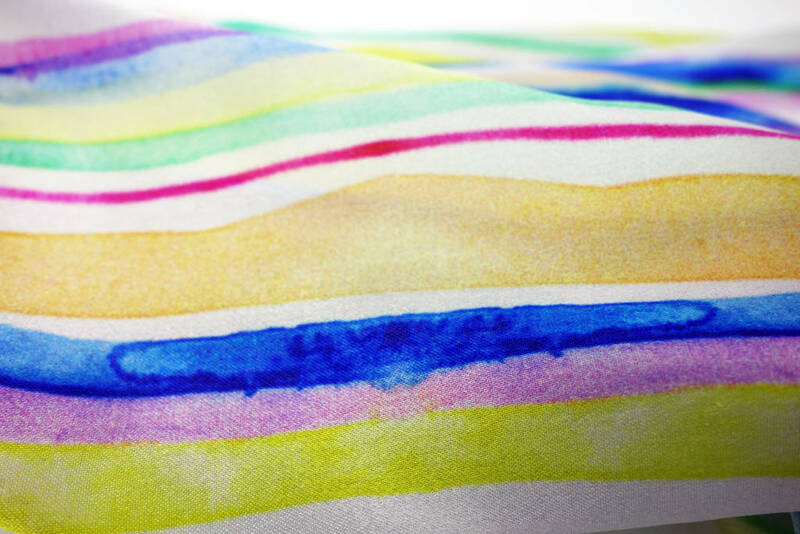 The hand painted watercolour stripe is on trend for SS18 but will also look great over snug winter jumpers. 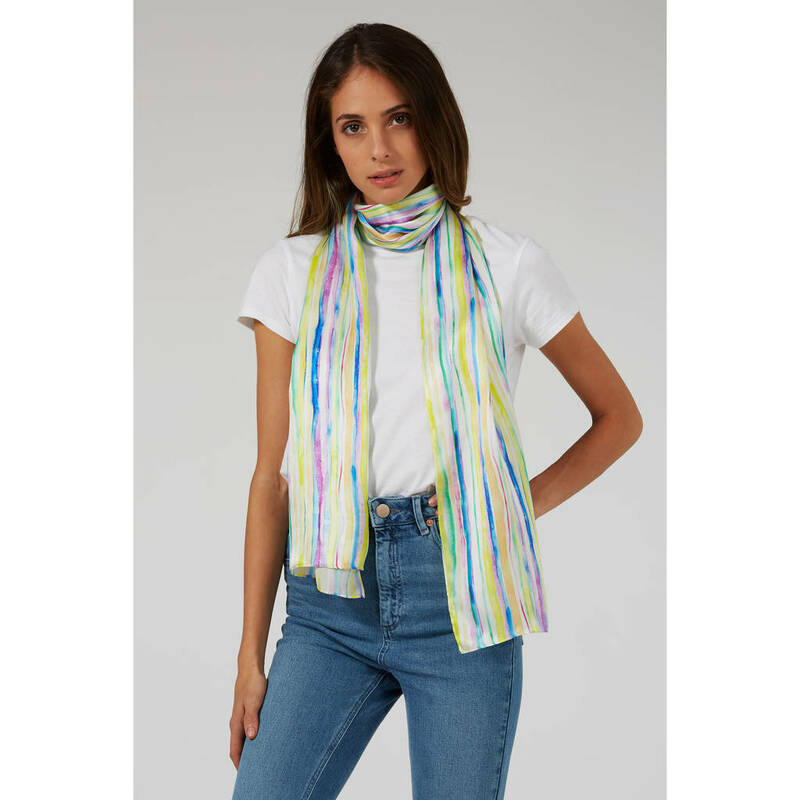 The Sorbet Stripe print scarf is printed onto luxurious pure silk satin, for a beautifully soft drape with a subtle shine. All our scarves are carefully wrapped in tissue paper and placed in a hand-embossed box, perfect for treasuring for years to come. They make the perfect gift for yourself or someone special. This print is also available on our range of recycled paper notebooks, pair them together for the perfect gift collection. Made from 100% Silk Satin and finished with a pin hem in the UK, featuring a watercolour repeat print hand-painted by London based designer Maddie Chambers. This product is dispatched to you by Also the Bison.